Pedal For Your Life in Guatemala! 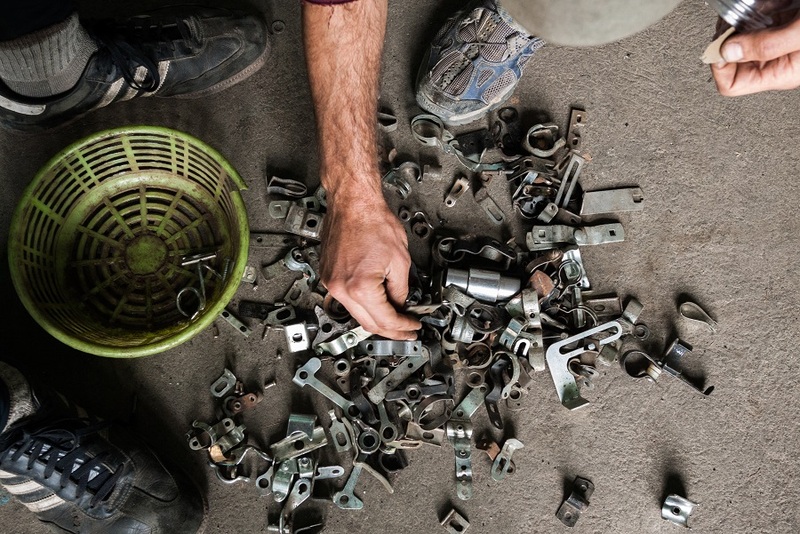 Carlos Enrique Marroquin runs an innovative charity in Guatemala that recycles bicycle parts into pedal-powered machines. 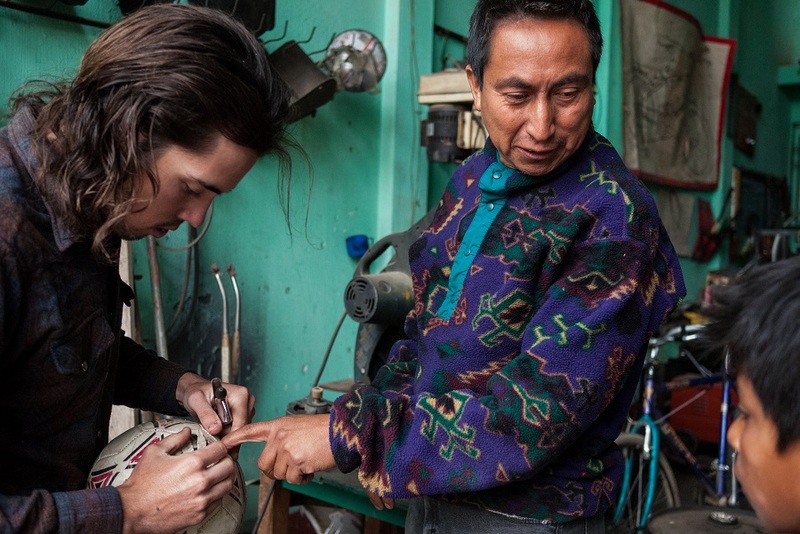 Six photos depict the hard work of innovative local charity volunteers in Guatemala. Anna Kortschak is travelling the world by bicycle documenting what she sees. 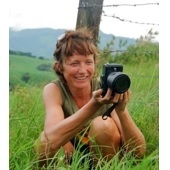 She has lived and worked in Australia, Brazil, the United Kingdom, the Czech Republic and Panama, launching a number of participatory media projects with young people in various communities. 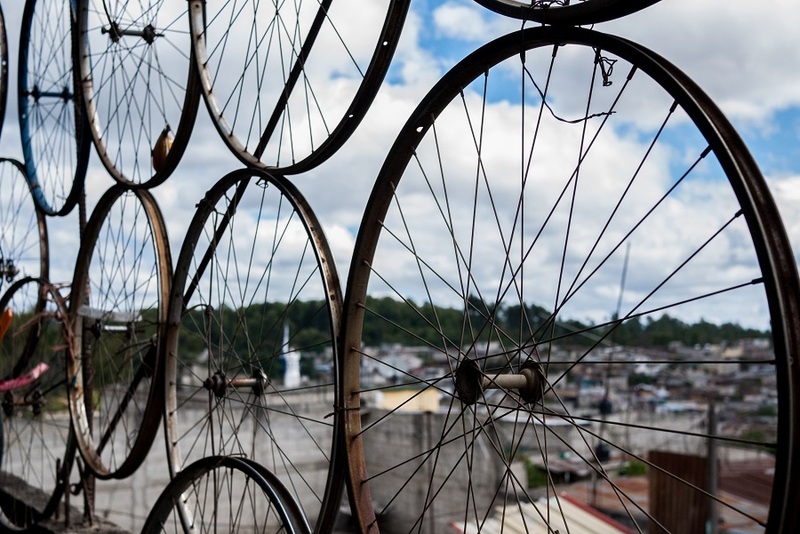 Carlos Enrique Marroquin runs Maya Pedal, a non-profit organization that turns unwanted bicycles into pedal-powered machines. 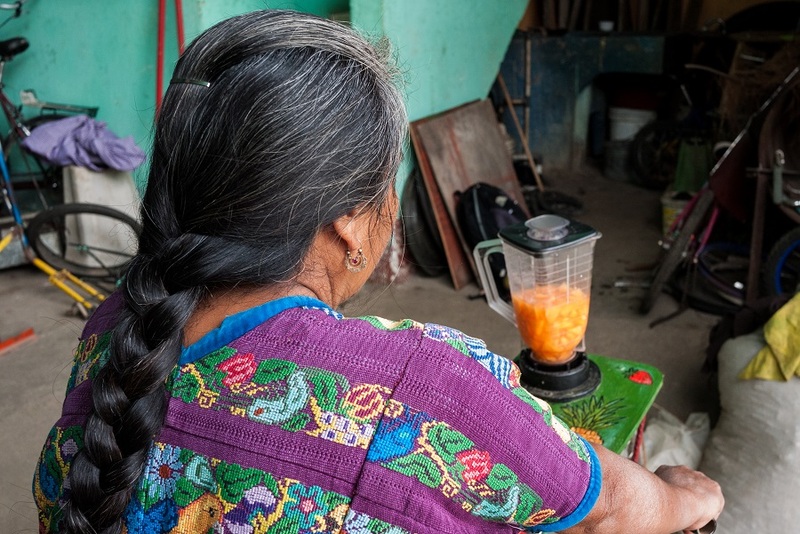 Set up in 1997 in the small southern Guatemalan town of San Andrés Itzapa, Maya Pedal’s products include blenders for making fruit drinks or grinders for processing corn. Some are used in small businesses, others to make daily life less arduous. 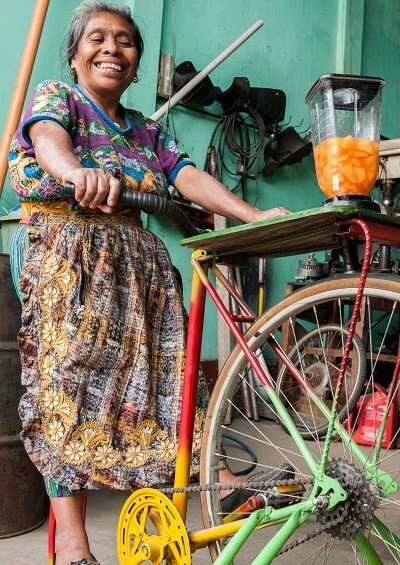 One local women’s group uses a Maya Pedal machine to make aloe vera shampoo. Sales of the shampoo have provided income for the women in the group and have also helped buy saplings for a local reforestation project. Another group uses a pedal powered pump to raise drinking water in a 30-foot well. 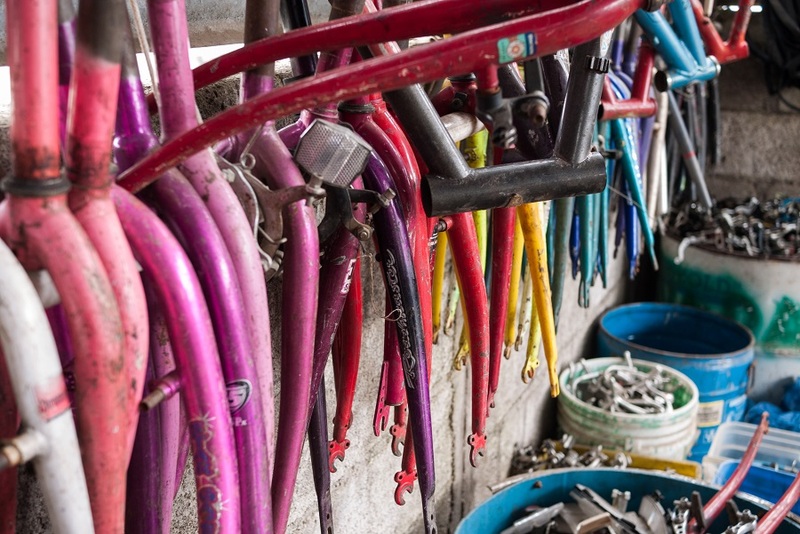 Staffed by volunteers, Maya Pedal also puts together fully working bicycles from donated parts, selling them to local people at affordable prices. 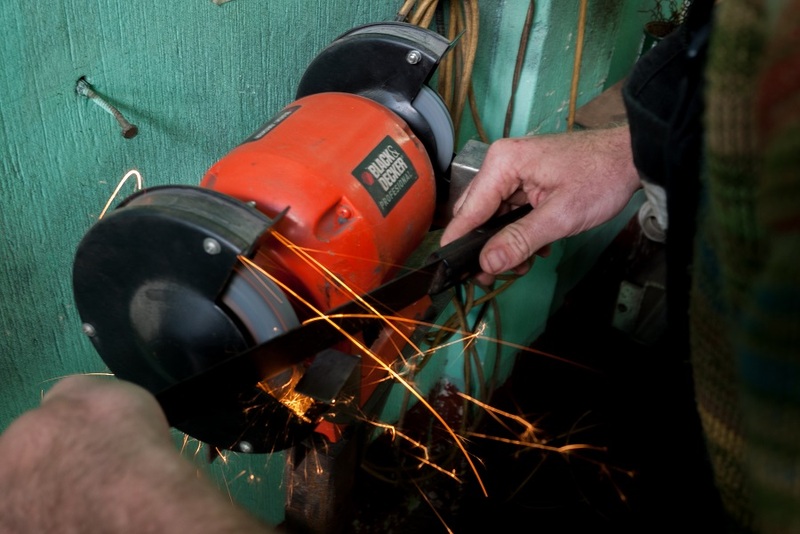 With its tools and machines, the workshop is also an important resource for local needs – from sharpening a machete to mending a football. Carlos Enrique Marroquin, Maya Pedal’s director, oversees repairs to a football.